For your perusal, another entry in our series of spooky stories Sherlock Holmes may have encountered–and scoffed at. Like the previous article, this one appeared in a Yorkshire paper when Holmes was ten years old. Given his youthful familiarity with the typefaces used in various papers, it is likely he read Miss Campbell’s story; one wonders if, even then, he could imagine the many possible motives behind it. Defendant: Two persons were murdered, one in my bed-room, and one in the room under. They were buried in the kitchen, and I was dreadfully alarmed. I saw something like a ghost in my bedroom; it was like a man.–His Honour: And that frightened you did it?–Plaintiff: No, but what a girl told me afterwards did. She told me that someone had been murdered.–His Honour: I hope you have more sense than to believe what you have heard. Plaintiff: I can’t help it; I can’t stand it.–A young man was call in as a witness, who denied that the plaintiff had been turned out of doors; but said that she told him that two of the bodies were buried in the kitchen, one on the west, and one on the south-east. The girl too him that she would be content to live there if the kitchen was examined, and the ground underneath, where the bodies rested, dug up. The plaintiff left the service on account of having seen a ghost.–Plaintiff: Not on account of the ghost, Sam.–His Honour: What was it, then?–Plaintiff: Because I had heard that a murder had been committed in the house. You have sworn false, Sam. I could live very well in the family, but not in the house. 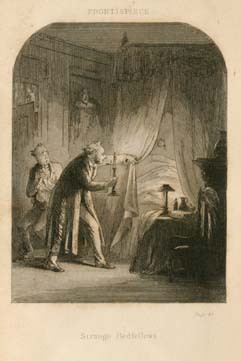 I am not afraid of ghosts but of the murder.–His Honour (addressing defendant): But there has been no murder committed there, has there?–Defendant: Undoubtedly not.–His Honour, to plaintiff: But even supposing there had been, Why should you let that disturb your sleep?–Defendant: No one could have taken more trouble to prove to her the fallacy of ghosts than I have, but she persisted in saying that she would convince me that she had seen one. 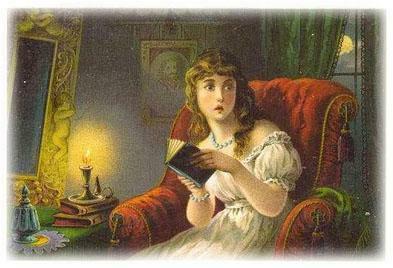 On Saturday night I had great trouble in getting her and her fellow servant to bed on account of these ghost stories, and it was two o’clock on Sunday morning before they went to bed. I told them they must either go to bed or leave the house, upon which plaintiff said that she would rather leave the house, but that Mrs. Grindrod would not allow her.–His Honor gave it as his opinion that the plaintiff had discharged herself in consequence of her fears being excited; but before he gave a verdict he suggested that defendant should pay the poor girl her wages.–Defendant said he would most readily have done so, had not the plaintiff made reflections on his wife’s character.–Verdict for the defendant.–Liverpool Albion. “This agency stands flat-footed upon the ground and there it must remain. The world is big enough for us. 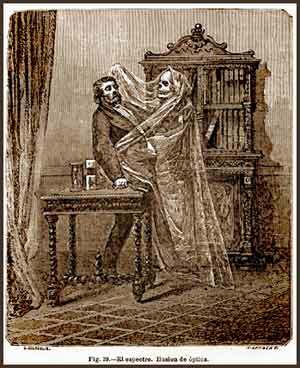 Professor Pepper’s “Ghost” was a popular phantasmagoric entertainment at the time. 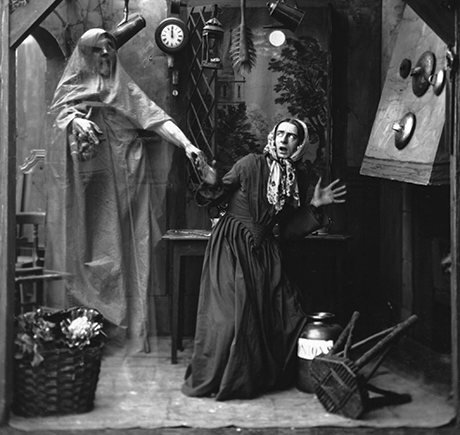 Beginning in 1862, John Henry Pepper of the Royal Polytechnique, using a mirror technique developed by Henry Dircks, thrilled audiences throughout Britain who came to see his “specter” onstage. Had the young Sherlock Holmes been among them, he had yet another reason to assume that ghosts only existed through trickery. Now, it is my wish, if possible, to remove this fear, and, therefore, without denying spiritual existence, or even the possibility of spiritual appearances, I shall endeavour to show in what way many of these supposed appearances may be accounted for. And sometimes, no doubt, they may arise from natural delusion produced by fantastic objects indistinctly seen under the influence of an excited imagination. 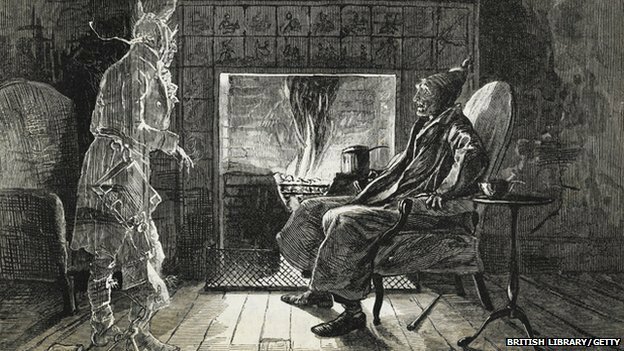 Who, for instance, has not conjured up in his mind, while sitting in a gloomy mood over a winter’s fire, all kinds of fantastic and frightful objects, which have appeared to flit before his eyes like so many imps out for a holiday. I have many a time and oft. 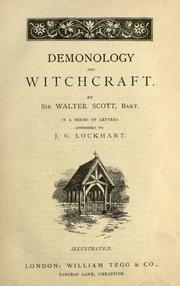 So, in many cases, the imagination has conjured up a ghost or hobgoblin, as may be seen from the following instance, related by Sir Walter Scott, in his first letter on Demonology and Witchcraft. 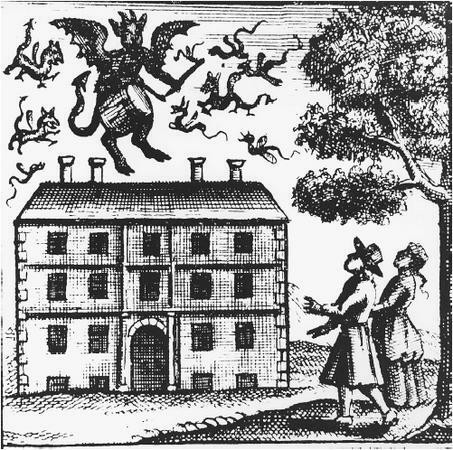 ‘There are,’ says Calmet, several kinds of specters or ghosts which haunt certain houses, make noises, appear there, and disturb those who live in them; some are sprites, or elves, which divert themselves by troubling those who dwell there; others are specters or ghosts of the dead who molest the living until they have received sepulture; others show themselves or make themselves heard, because they have been put to death in that place, and ask that their death may be avenged, or that their bodies may be buried. So many stories are related concerning these things, that now they are not cared for, and nobody will believe any of them. 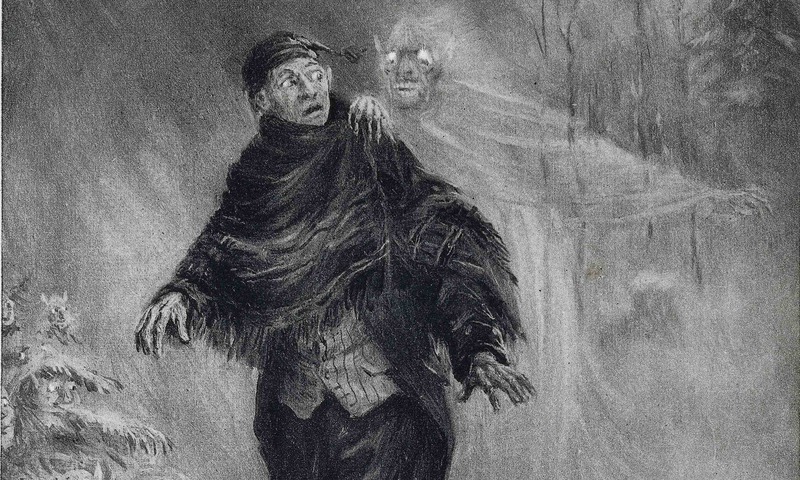 In fact, when these pretended apparitions are thoroughly examined into, it is easy to discover their falsehood and illusion.’ A case of this kind occurred in Picardy, where at a certain chateau flames and smoke were seen, and cries and frightful howling heard. The owner of the chateau was a brave man, and he resolved to find out the spirit and see what it was made of. Accordingly, when one night there was a great noise over the room in which he slept, himself and two friends rushed up into the room, each holding a pistol in one hand and a candle in the other, when a sort of black phantom, with horns and a tail, presented itself and began to gambol about before them. One of the gentlemen immediately fired off his pistol, but the specter, instead of falling, turned round and skipped out before him; the gentleman then tried to seize it, but it escaped by the back staircase; the gentleman followed it, but all at once, it entirely disappeared from his sight. 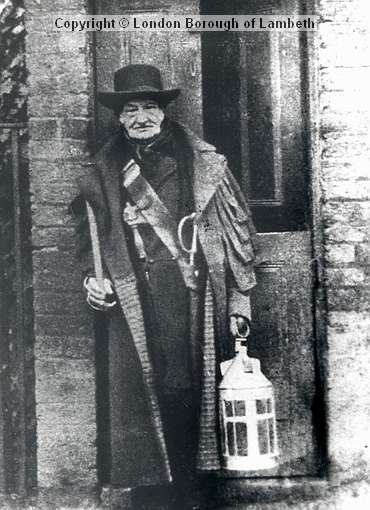 But just when the spirit disappeared it was observed that there was a trap=door which was bolted underneath; they forced open the trap and there they found the pretend spirit, which was none other than the gentleman’s own farm bailiff. He owned all his artifices, and that what had rendered him proof against the pistol shot was having a buffalo’s hide which tightly fitted to his body. 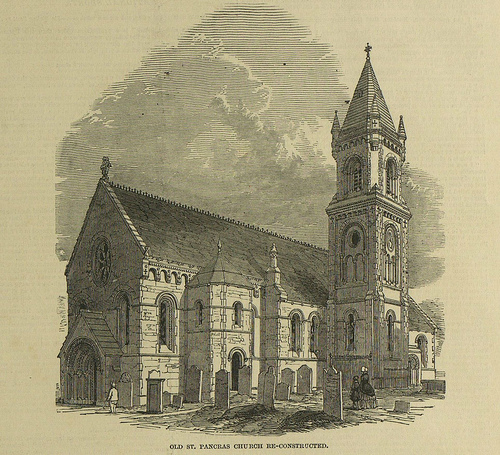 But the two most singular instances of haunted houses, perhaps, were Mr. Mompesson’s, at Bedworth, and the Rev. Wesley’s, at Epworth. In the one case, according to Glanvil, it appears that in March, 1661, Mr. Mompesson, who was a magistrate, had committed to prison, as a vagran,t a drummer who had been for some time levying alms from the people. The drum was, of course, taken from him, and detained by the proper officer. This was a proceeding by no means approved of, it appears, by either drum or drummer; for about the middle of next month (April), Mr. Mompesson being about to make a journey to London, himself took charge of the drum, and from that moment his troubles began; for, says Mr. Glanvil, ‘After this the noise of thumping and drumming was very frequent, usually five nights together, and then it would intermit three. It was on the outside of the house, which was most of it board. It constantly came as they were going to sleep, whether early or late. After a month’s disturbance without, it came into the room where the drum lay, four or five nights in seven, within half an hour after they were in bed, continuing almost two. 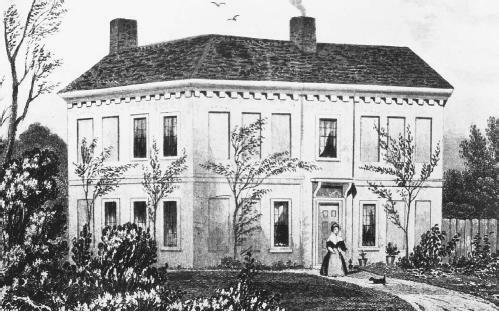 The sign of it, just before it came, was a hurling over the house; and at its going off, the beating of a drum, like that at the breaking up of a guard.’ This continued, it seems, for about two months, only intermitting during Mr. Mompesson’s confinement, and then commencing with greater violence than before. For an hour together it would beat, as well as any drummer, ‘Roundheads and Cuckolds,’ the ‘Tattoo,’ and several other military pieces; it would then life the children from their beds, follow them about, and play all manner of pranks in the family. This continued altogether about two years, Mr. Mompesson himself ascribing it to ‘the malice of the drummer, in league with the evil one.’ In the present day we should not find it difficult to assign a more reasonable cause. An illustration from Glanvil’s account of the Tedworth Drummer in “Saducismus Triumphatus” which by the mid-19th century had been determined to have been a hoax. Epworth Rectory, site of the Wesley family’s ghostly experiences in the early 18th century. Practical jokes are often play which have a very disastrous effect upon the individual upon whom they are practised. A gentleman of intelligence had been a frequent visitor in a family of distinction. 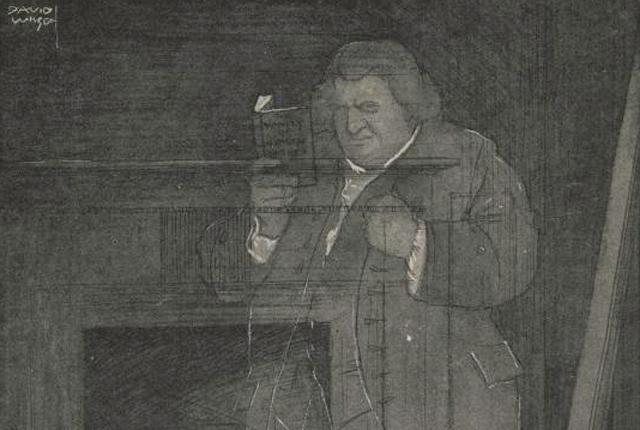 The subject of ghosts was often discussed; the heads of the family contending for their occasional appearance, the visitor opposing that opinion. Upon one occasion the family determined to test the firmness of their friend’s views, and, accordingly, a sort of domestic drama was got up with this object in view. It was given out that the butler, a highly valued servant, had expired, and the whole family was put into mourning. When therefore the visitor next went to the house, he saw a new servant in the butler’s place, and at the dinner-table, he was informed of all the circumstances attending the supposed illness and death of the butler. In the midst of this conversation the gentleman, happening to turn his head, was greatly amazed to find the figure of the butler standing by the side-board; the conversation went on, no one but himself appearing to see the figure, which remained motionless until the company retired. At bed-time, he saw the same figure standing in a corner on the landing-place, as he ascended to his bed-room. By a little artifice, the gentleman’s attention was now directed by his host to some paintings, during which the butler vanished and when the visitor entered his bed-chamber the figure of the butler was there. He had not had candour enough during the evening to express his alarm, fearing that he should be laughed at; but now no sooner had the chamber-door closed upon him, with what he believed to be a ghost in the room, than the fear, which had tormented him all the evening, attained his climax, and he swooned away. The butler, finding things had gone too far, became alarmed and called for assistance; but the visitor was dead. Then, again, who had not heard of the case of the German student, who, for a wager with a fellow student, was watching in the same room with a coffined carcass. At midnight, the body in the coffin rose slowly up like a white phantom, swaddled as it was in the sad habiliments of the grave. The student presented a pistol, but the body advanced–he fired–the spectre flung back in his face the innocuous bullet! What was the consequence? The apparition was a living, but the student was a dead man, for he survived not the shock. And yet nothing was more simple than the deception. His companion had extracted the bullet from his loaded pistol–removed the dead body–borrowed its habiliments–and taken its place in the coffin. Again, a young Frenchman lost his betrothed on the eve of marriage; and believed that he saw her spirit every night in her bridal dress. 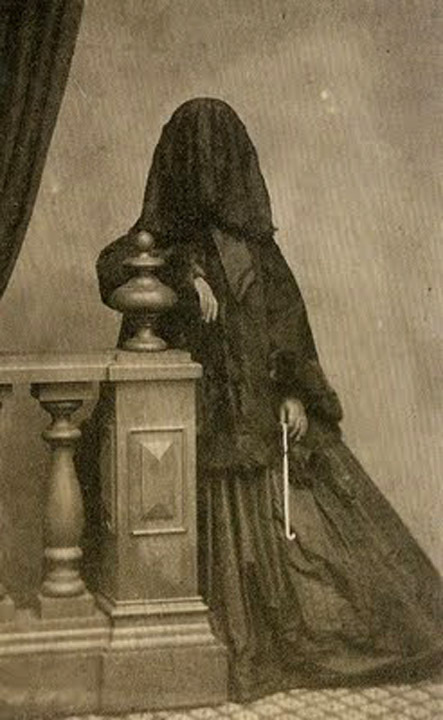 His friends, to prove to him the folly of this belief, dressed a twin sister of the deceased in a dress precisely similar, and placed her at the foot of his bed, exactly at the hour the spirit was won’t to appear to him. He looked up, and crying out ‘Ah! ceil! en voila deux!’ fell back dead upon his pillow. Some few years ago, a friend of my own, at that time residing in Norfolk, had occasion to be from home very late one night. On his return home he had to pass through the churchyard, through which was a public pathway, crossed by a stile. The moon was shining in all its resplendent beauty, and every object around was distinctly visible. He had reached the middle of the churchyard, when he saw, what at first he supposed to be the shadow of a tree on the top of a flat gravestone. He advanced; but, as he did so, the apparent shadow, black from top to toe, gradually raised itself to a sitting posture. Terror took instant possession of the mind of our friend, and he was deprived of all power to move or speak, when slowly the spectre thus spoke–‘Please, zur, a’ yow zeen my dickey?’ Now, had this good friend suddenly fled, instead of being riveted to the spot by fear, this would always have been related as a ghostly appearance; but the fact of the case was, that a poor chimney-sweeper had been making his rounds during the day, and finding himself at night, overcome by fatigue, had sent his donkey (vulgo, in Norfolk, dickey) to graze, while he rested himself on a gravestone–he fell asleep, and did not wake until the footsteps aroused him; and his first thought about the welfare of his ‘dickey’ led to the inquiry which undeceived his terrified beholder as to his true character. Judge: Since I saw you I have had ocular demonstration of the existence of nocturnal apparitions. Bishop: I am glad you have become a convert to truth; but do you say actual ocular demonstration? Let me know all the particulars. Judge: My lord, I will. It was–let me see–last Thursday night, between the hours of eleven and twelve o’clock, as I lay sleeping in my bed, I was suddenly awakened by an uncommon noise and heard something coming up-stairs and stalking directly towards my room; the door flying open I drew back my bed curtain and saw a faint glimmering light enter my bed-chamber. Bishop: Of a faint colour, no doubt. Judge: The light was a pale blue, my lord bishop, and followed by a tall figure, with hoary locks, and clothed in a long loose gown, a leathern girdle about his loins, a large fur cap on his head, and a long staff in his hand. I remained for some time motionless and silent–the figure advanced staring me full in the face; I then addressed it and said–Whence and what art thou? Bishop: What was the answer? Tell me; what was the answer? Judge: The following was the answer I received: I am watchman of the night, an’t please your honour, and make bold to come up-stairs to say that your street-door is left open, and if not soon shut you may be robbed before morning. Well, if he looked like this…. Ebenezer Scrooge might have something to say about this.